Fixed bus stops, Fixed timings, Fixed prices. 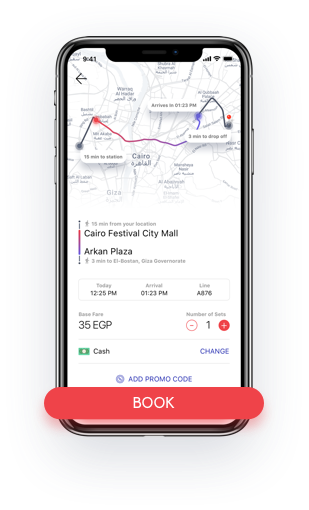 Swvl is the premium alternative to public transportation in Egypt. Through our app, you can book fixed rate affordable rides on our existing routes. We offer affordable, quality, convenient and reliable everyday bus rides. +600 Lines in Cairo & Alexandria. Your only way to a better daily commute. Forget about the rush hours, traffic, terrible driving habits, and unavailable parking spots! This product is designed to have your own travel bus، perfect for families and friends traveling together. It started with an observation turning into a realization, too many cars on the streets, wasting our limited resources: time, space and money. We had to question why we depend so much on our cars? and what are the consequent pains of moving around the city? 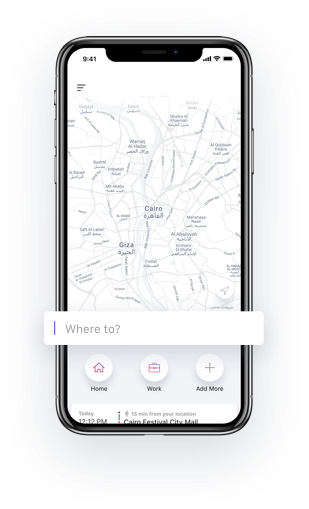 Rush hours, traffic, terrible driving habits and unavailability of parking spots came rushing through our minds in addition to the pain of high cost of on-demand services. While an affordable decent public commuting solution is not accessible, we thought how can we improve people’s lives? 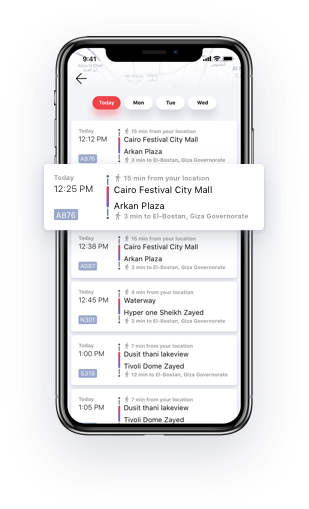 And here Swvl was created, revolutionizing the transportation scene in Egypt, through providing a technology-based alternative to public transportation, a smart solution that solves the transportation equation, leading to helping more commute for less, with ease and comfort. Swvl is a revolutionary idea that was born from passion, loyalty, and persistence to face all challenges on the table, Swvl is not just a mean to facilitate commuting, but a hunger to strive for solutions, encourage the contribution of youth in innovation and inspire change.